Email signatures can be a difficult nut to crack at the best of times, and when you finally create your perfect email signature, it certainly feels great. However, it can be a huge disappointment when your new email signature is caught up in your recipients’ spam filter (or junk mail). What do you do now? Where do you start looking first? Since we create email signatures for a living, we have a lot of experience with email signatures and spam filters. Over the years, we’ve built up a long list of common reasons email signatures get marked as spam, and today we will share those with you. Before we get into the nitty-gritty, it’s important to know a few fundamentals about email signatures and spam filters. 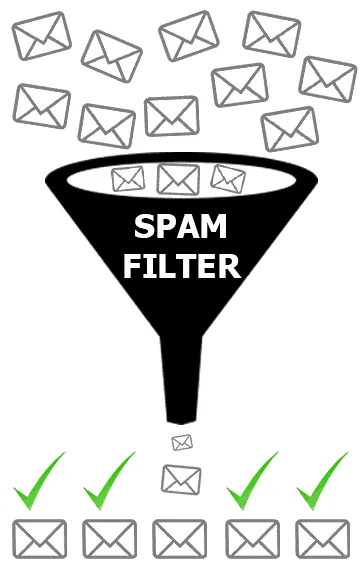 Spam filters are applications which filter your emails and look for certain markers in them to determine the likelihood of the incoming email being spam. They are widely used by companies and personal mailboxes in an attempt to curb the amount of spam that they receive. According to Wikipedia, spam emails make up 90% of all emails sent throughout the world. So, although email signatures can sometimes cause emails to be caught up in spam filters, it’s essential to have them. If spam markers are found in an incoming email, the spam filter then gives the email a spam score which indicates the certainty of the email actually being spam. If the incoming email’s spam score is higher than the threshold you or your IT administrator have set on your email server, then the email will either be quarantined and you have to manually release it into your inbox, or it will be deleted. The behavior of what happens to spam emails is usually set by you or your IT administrator. To determine if your email is safe, spam filters also use global blacklist databases which consist of mail servers (or hosts) which send out a lot of spam. Some of the common spam blacklists are Spamhaus, Spamcop and Barracuda. For a more complete list, check here. Workstation spam filters are the ones that are available in computer shops for consumers to install on their own PC’s. These spam filters work directly with your email client on your PC and don’t do any server-side processing of your emails. Server spam filters are installed directly on mail servers, which are monitoring hundreds or even thousands of mailboxes at the same time. 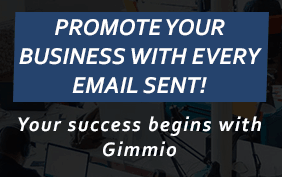 These are usually enterprise-grade spam filters which are much more efficient at detecting spam. They are often much more complicated to set up but are also much more robust at handling emails. If your email provider is your web hosting company or ISP, it’s likely that they are already using an enterprise spam filter on your mailbox so there is almost no need to use a local workstation spam filter on your PC. There are HEAPS of reasons an email might be caught up in the spam filter, but a lot of them are fairly technical and rare. This is the actual content of your email message. If it has words in it which have been blacklisted by the spam filter, it will be flagged as spam. 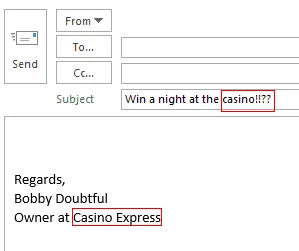 To give you an idea, words like “Viagra”, “Casino”, “Money”, “Drugs”, “Cash”, “Lottery” and many more don’t play well with spam filters. Similar to the email body content, using words that could trigger the spam filter. Outbound links that are going to domains which aren’t trusted. If you have excessive capitalization in your email content body or in the subject line. If you have HTML code in your email signature which looks malicious. If your mail server has been blacklisted, this is a surefire way to get all your emails blocked by spam filters. You should periodically check if your mail server has been blacklisted, and also set up alerts. If you have images in your email signature that are hosted on a domain which has been blacklisted, then your email signature is likely to cause your whole email to be marked as spam. Attachments are usually scanned for viruses, so ensure your files are clean. If you have fonts which are all in different sizes and colors, that will likely trigger spam filters. Try not to use too many exclamation marks, question marks and any other special characters like hashes, percentage symbols and so on. If you’re a viagra salesman or work at a casino, we feel sorry for you! Check to ensure the server where your images are hosted is not blacklisted. This is a good reason to use an email signature tool so you don’t have to worry these sorts of things. If you’re linking to your own company website from your email signature, check to ensure your domain hasn’t been blacklisted. Sizes between 8-30px are in the safe range. Generally speaking, there’s no need for fonts that are smaller or bigger than that. As for colors, don’t overdo it, use a maximum of 3-4 different font colors. If you have sketchy looking HTML code in your email signature, it can be an instant red flag for spam filters. 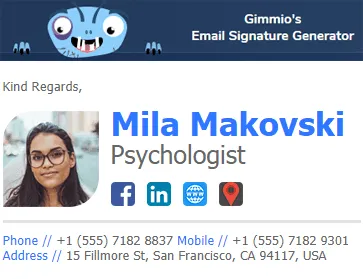 Using a reputable email signature generator that has clean HTML output and adheres to HTML standards can make a world of difference. What to do if my email signature causes my emails to be blocked by spam filters? Firstly, go through the above list to see if anything stands out and fix it. If you can’t find the problem in the list, then its time to take a look at the content of the emails you’re sending. Take a look through your sent items and see if you notice anything about the language you’re using in the body of the emails. If it’s your work email, have a chat with your IT department about the issue and they should be able to find out why the email is being blocked by looking at mail server logs. If it’s a company-wide issue, such as the domain being blacklisted, other employee’s will likely have the same problem.